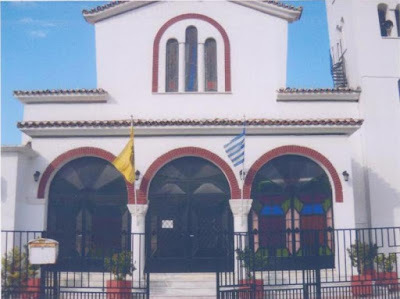 Building began for this church in 1993 and it was completed in 2001, when it was also consecrated. 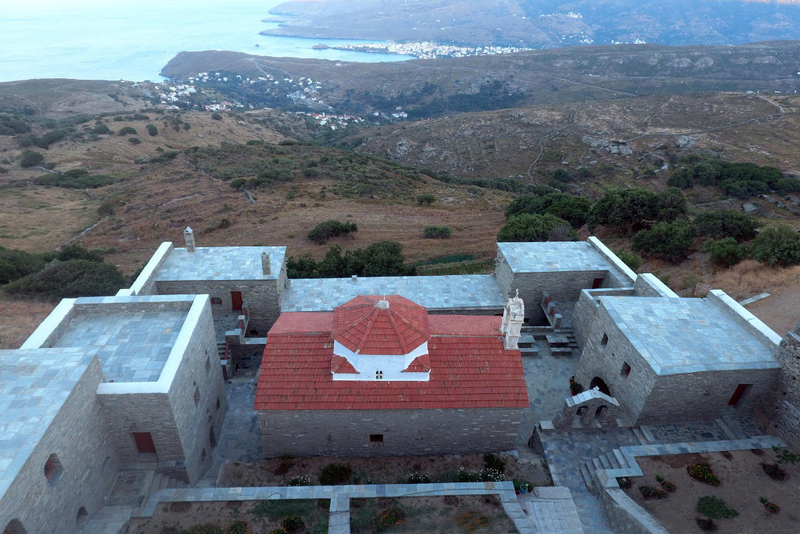 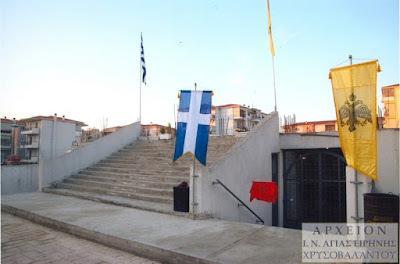 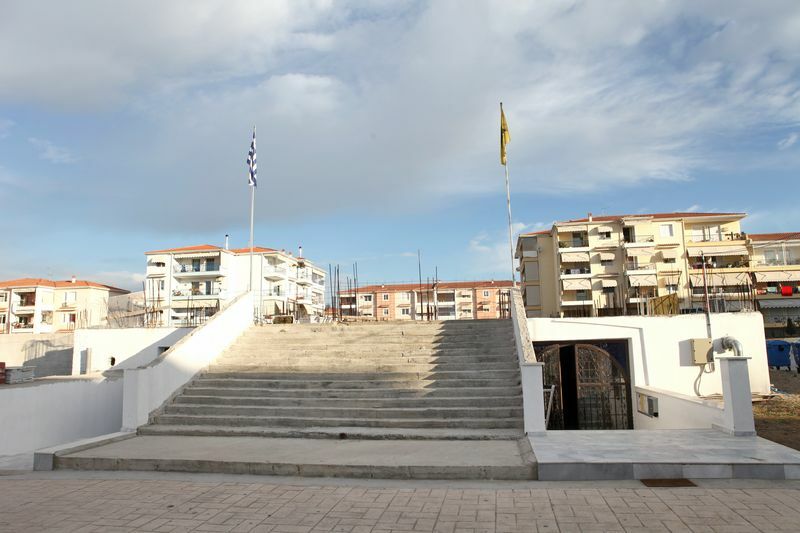 It was built and funded by George Karagiannakis to fulfill a vow. 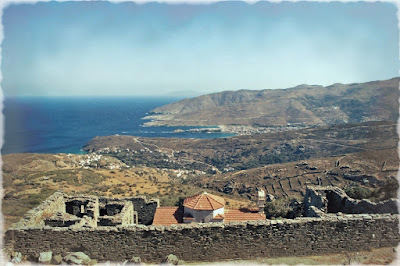 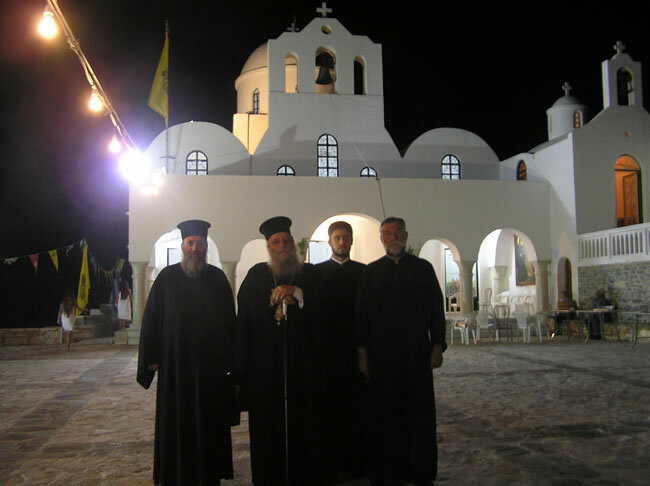 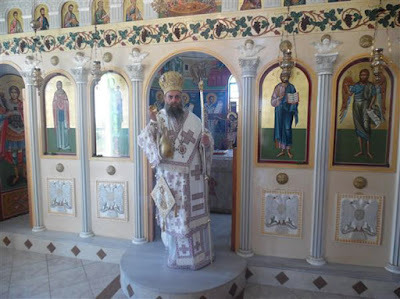 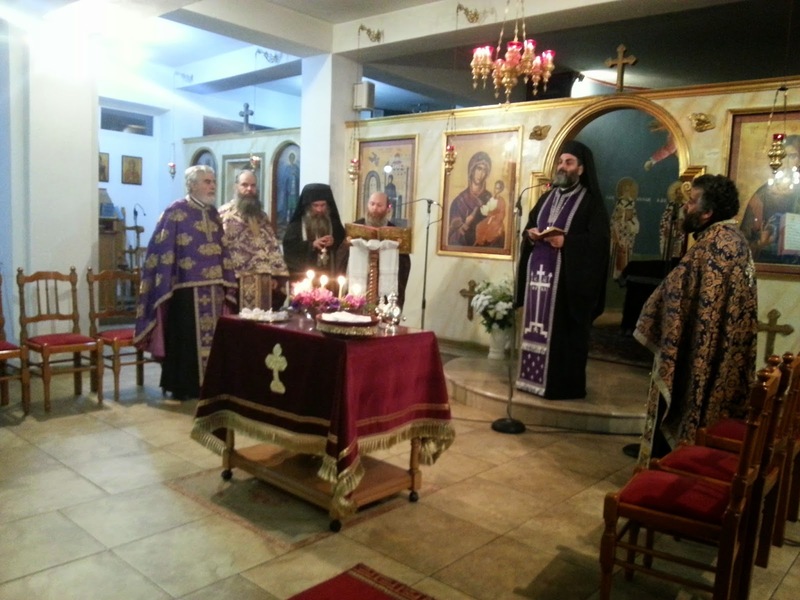 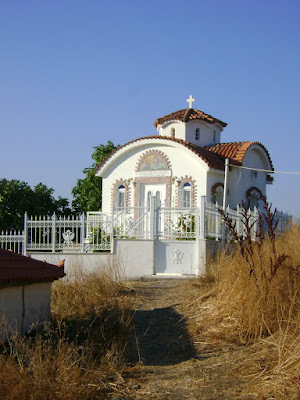 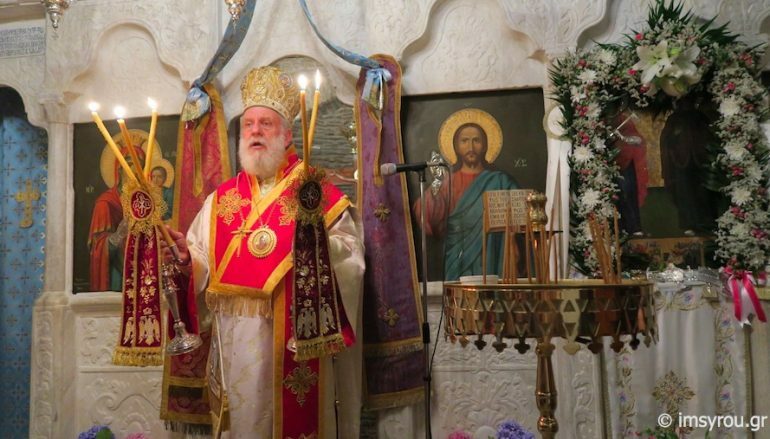 When his child came down with a serious illness, he vowed to Saint Irene that he would build her a church in Kaminia. 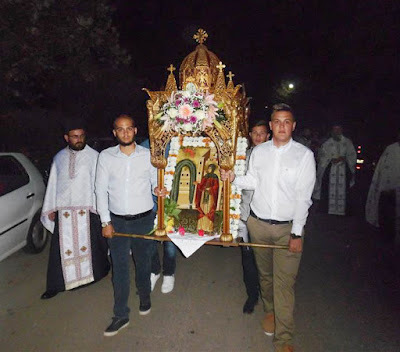 After the child was anointed with holy water from the Monastery of Saint Irene in Lykovrisi, the child recovered and George fulfilled his vow. 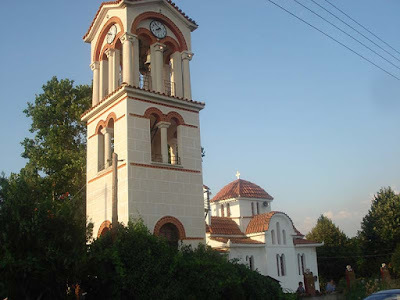 It is one of the most beautiful churches of the area. 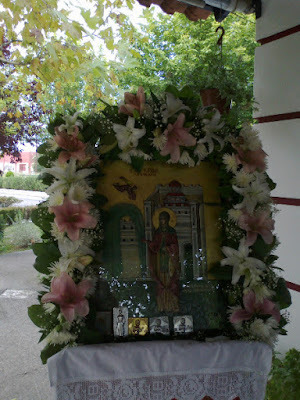 One late afternoon in August of 2009, a four year old girl approached the church, and although it was locked and no one was around, she heard such heavenly chanting that she believed it to come from an Angel. 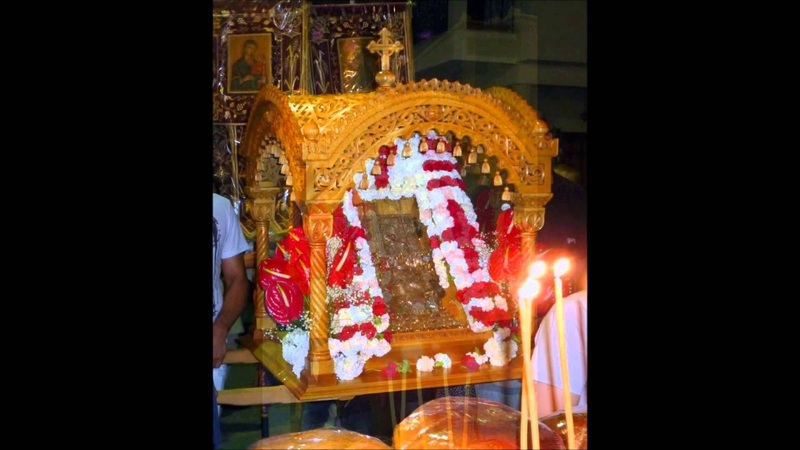 About a month later George Karagiannakis departed this life. This monastery was built in 1780 by two monks. 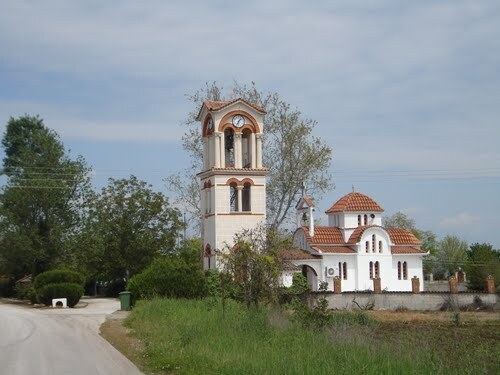 By 1843 it was abandoned. 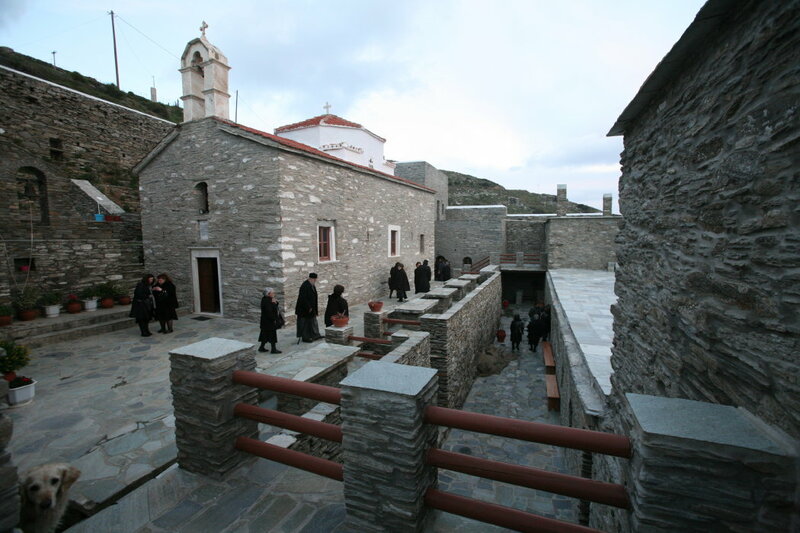 In 1990 restoration work on the monastery began. The iconostasis in the church dates to 1806. 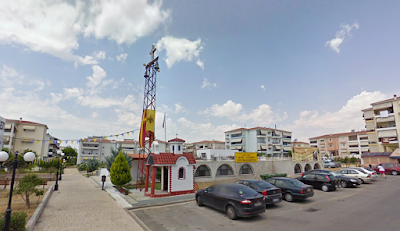 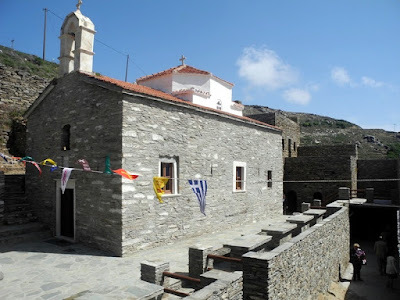 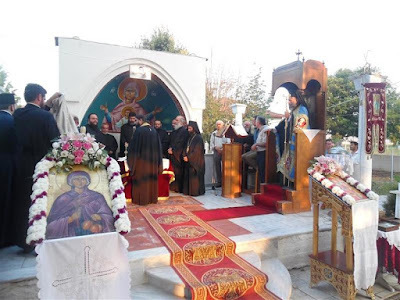 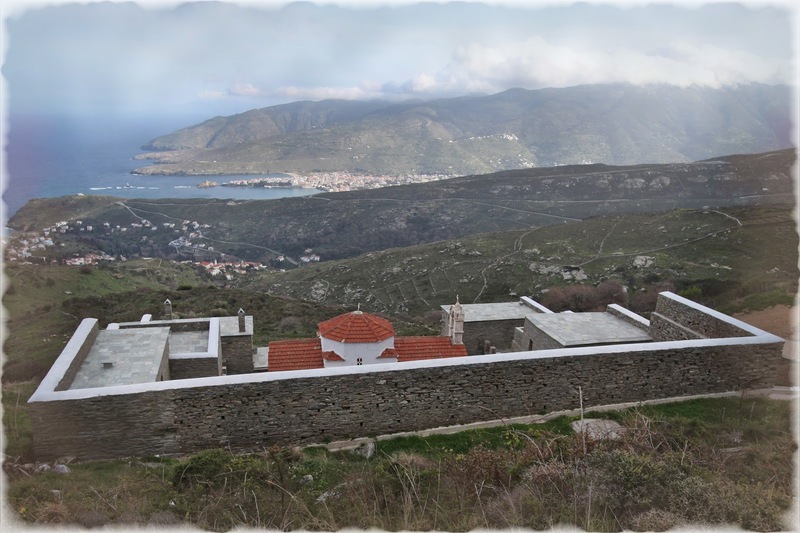 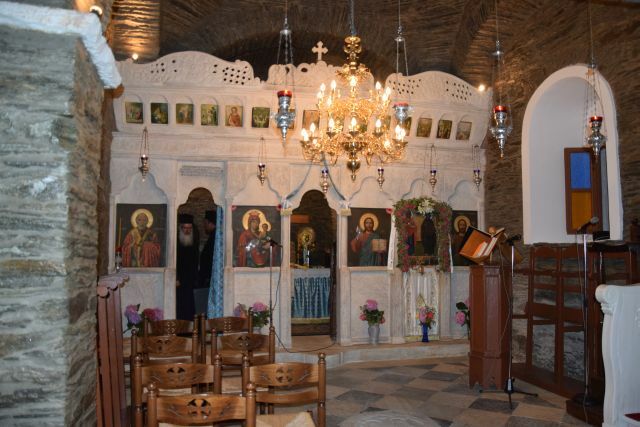 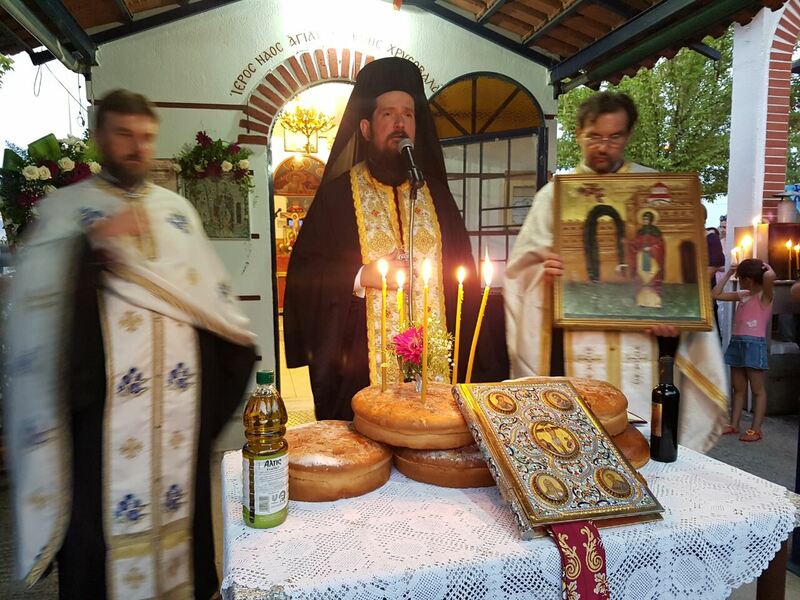 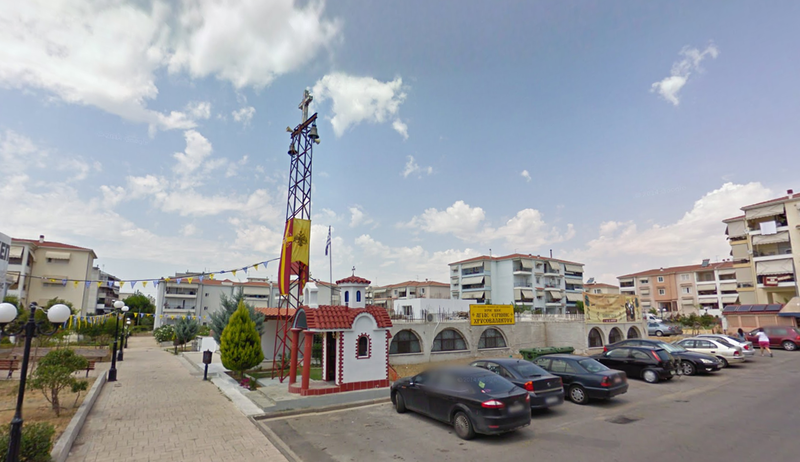 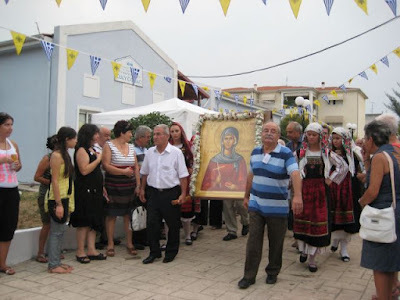 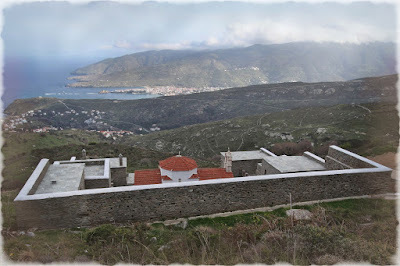 The monastery is dedicated to both Saint Irene the Great Martyr, who celebrates on May 5th, and Saint Irene Chrysovalantou, who celebrates on July 28th. 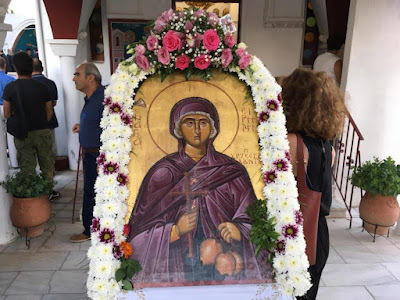 Their miraculous icon, in which they stand next to each other and is hanging from the iconostasis, dates to 1800 (perhaps making this the oldest known icon of St. Irene Chrysovalantou). 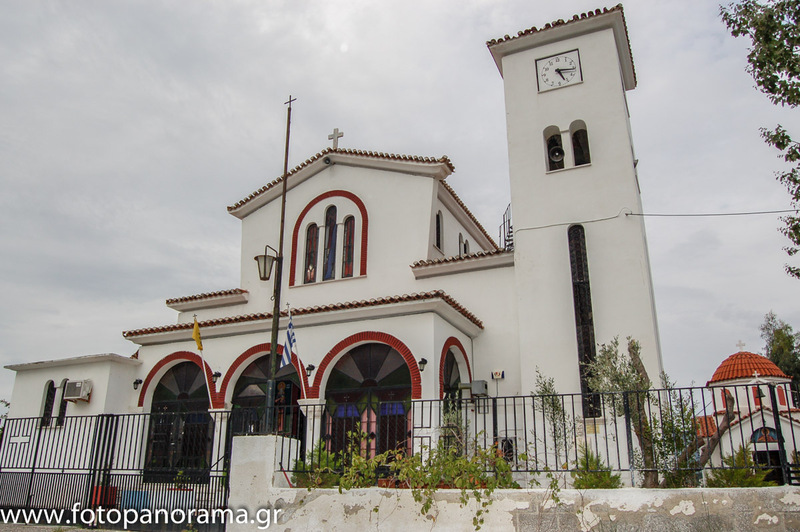 This church was built by John Lazoglou (1869-1931) who was from Magnesia of Asia Minor, and still belongs to his descendants. It was consecrated on June 27, 2004. 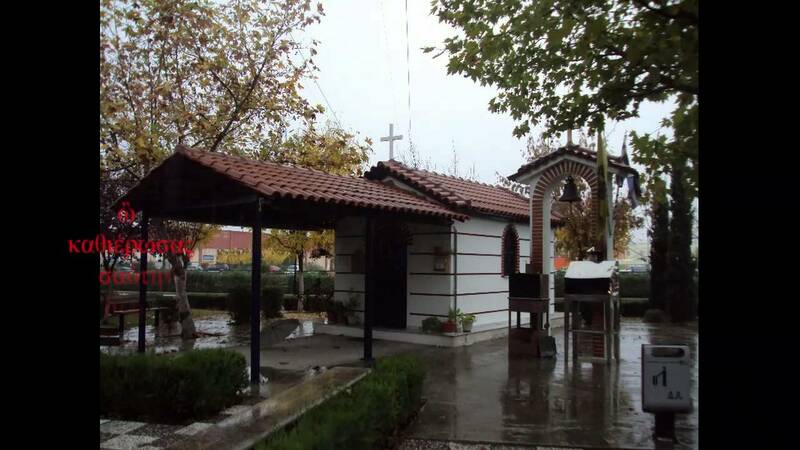 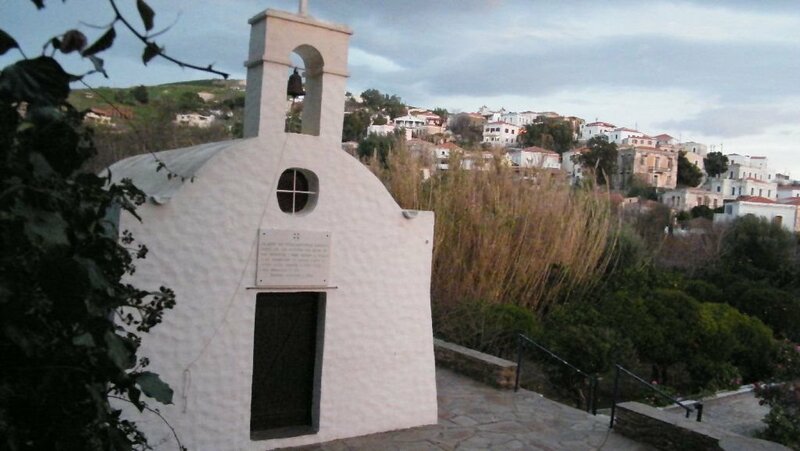 It is dedicated to both St. Irene Chrysovalantou and St. Irene the Great Martyr, and there is also a chapel dedicated to St. Phanourios. 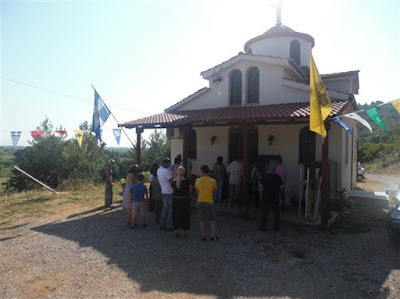 This church is still in the process of being built, but it currently gathers for services in the basement, which was consecrated in 2007. 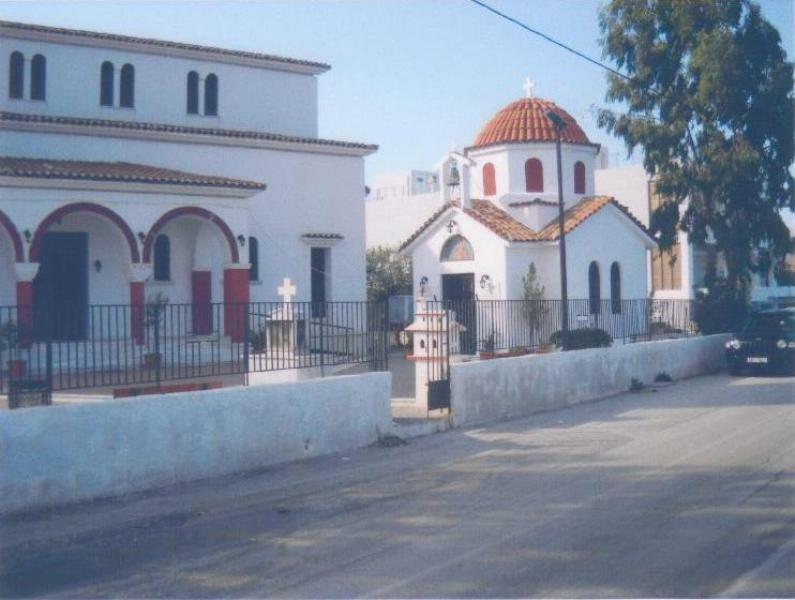 This church is being built to fulfill the needs of the housing development built there, since there is no other parish within a close proximity.